May 22, 2017: Help me choose a monitor! Feb 21, 2018: Which 144 hz Monitor Should I go for? Jun 25, 2018: Which of these budget 1080p 144hz gaming monitors is the best? Sep 14, 2018: Is this monitor 2k or 1080p widescreen? Nov 03, 2018: [Scam news] Lap Chi on ESE Scamcoin: "But of course we're not going to replace money" LMFAO this esports cuck doesnt even understand how cryptocurrency works!!! Nov 24, 2018: Need some help deciding between two monitors. 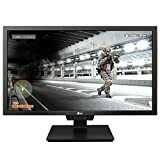 Feb 16, 2019: Cheapest 144hz monitor? Feb 22, 2019: Can I use a 120/144hz monitor on a gaming laptop? Please help.